“Delicate but firm” is what the fragrance inspired by the Russian president describes itself as. The perfume is called ‘Number One’ and connoisseurs are supposed to distinguish notes of lemon, bergamot, blackcurrant and fir cones in the scent. The perfume hit the shelves of Moscow’s landmark department store GUM on Thursday. It comes in a minimalistic black bottle with a platinum profile of Vladimir Putin on its front. The fragrance was made by a Belarus-born perfumer, Vladislav Rekunov. “It’s a warm, textured and rounded scent. It’s very delicate, but at the same time firm,” Rekunov described his creation to LifeNews ТV channel. The idea to create a fragrance dedicated to Vladimir Putin belonged to Leaders magazine, which was only launched in June 2015 and is seeking a little publicity. 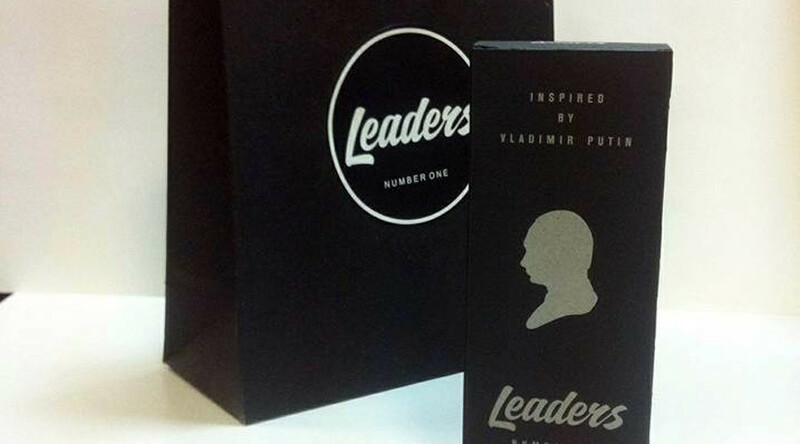 A 100ml bottle of “Leaders’ Number One” costs nearly 6,000 roubles ($85). The fragrance will be on sale just until January, 20 and is also available online. There are already orders from Germany and China, shop assistants say. “We are also planning to give a bottle to Vladimir Vladimirovich [Putin],” a staff member at the stand in GUM said, according to Russian tabloid Komsomolskaya Pravda. The makers hope that a special edition for women, who find the perfume very alluring, will soon be in production. The president's approval rating of almost 90 percent and the New Year gifts season in Russia seem to cumulatively guarantee high demand for the “Number One” fragrance. The proceeds from the sale will go to a charity fund that helps children in need of treatment for diseases such as heart problems, epileps and genetic conditions, as well as to an orphanage located in the town of Klimovsk, not far from Moscow.